Google+ Mom to 2 Posh Lil Divas: Show Us Your Town Hop 10/1/11 - Share Your Fall Fun! 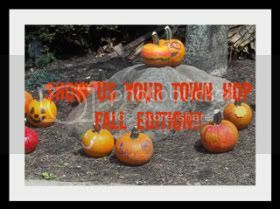 Show Us Your Town Hop 10/1/11 - Share Your Fall Fun! Till at last they touch the ground! I used to read that poem w/my students! and hopping along to visit the other sights shared in the linky! I just moved to Colorado from Texas, so I am experiencing my first real Autumn! It is wonderful! Have a great weekend! No Autumn! Now that is sad, hope you enjoy the links.